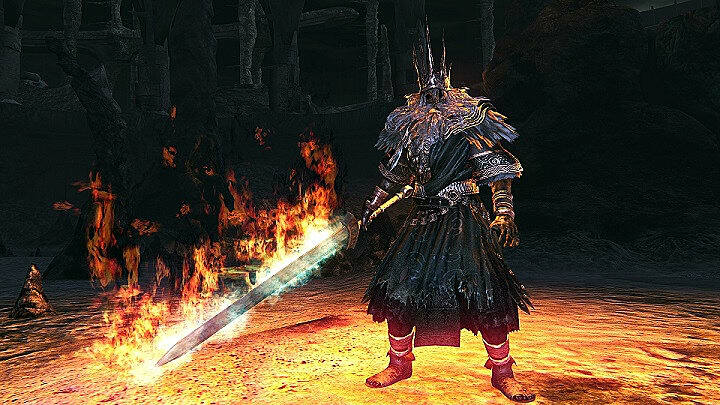 On March 28, the Dark Souls series came to a close with the release of the "Ringed City", the second and final DLC for Dark Souls III. 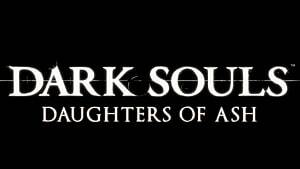 Of course, there's still the possibility we'll get more games like Bloodborne, side games that present new and novel stories but provide similar gameplay elements and mechanics of the Souls series. 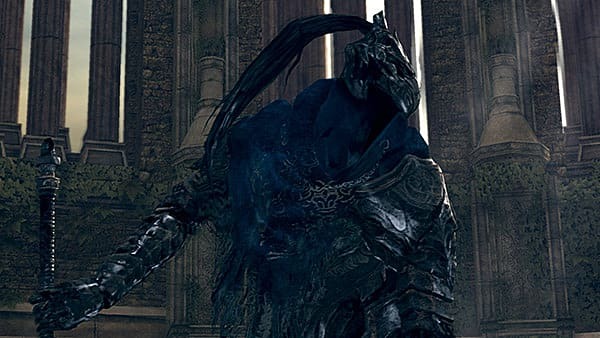 However, we're unlikely to see a Dark Souls 4. 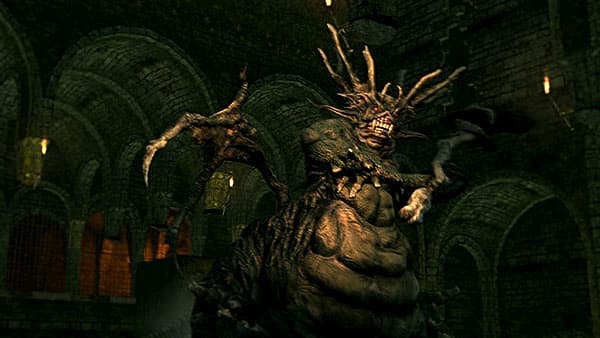 With that being the case, let's rank from worst to best the iconic bosses of the game that started it all. 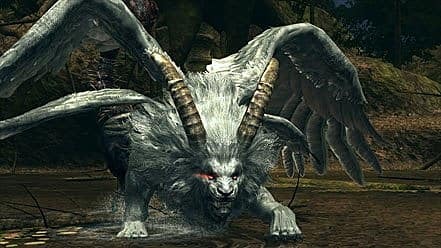 When it comes to Souls series bosses, there are perhaps none more reviled than this one. And it earns that reputation. In a series hailed for its challenging but fair combat, so many of the (literal) pitfalls in this fight feel anything but fair. 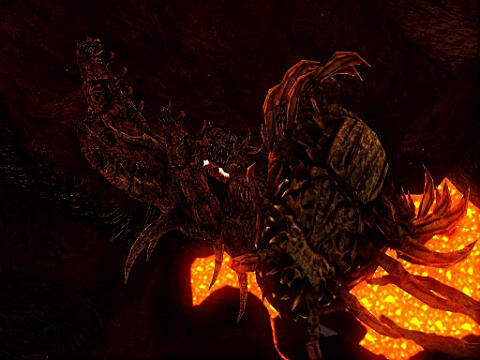 As the fight progresses, more and more holes open in the floor and Bed of Chaos' large sweeping attacks seem to be designed to push you right in. Especially notorious is the extremely awkward final jump you'll need to make to reach the boss' core. 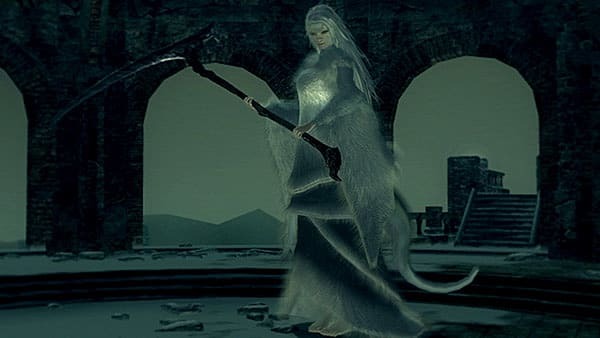 To add insult to injury, this was the in-game representation of the Witch of Izalith, one of the most fascinating and important characters in the game's lore -- and one who deserved a much better fight than this. While the Bed of Chaos feels more unfair than anything, Pinwheel is little more than a speed bump. The fight has some interesting mechanics in the boss' ability to duplicate himself -- and it's more challenging if you take him on earlier in the game -- but most players' experience with Pinwheel involves the boss going down in a pitiful amount of hits. 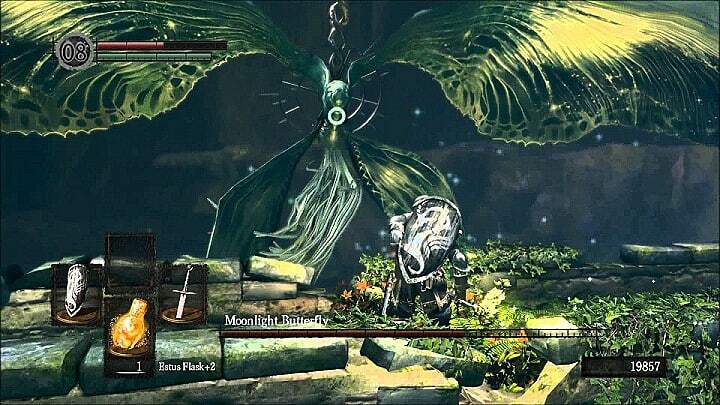 Your first reaction to this boss was likely a sense of déjà vu -- even more so if you went back to the tutorial near the beginning of the game. And that's because this boss is heavily copied from two other fights in the game, just with some added fire. This wouldn't be the last time the series copied bosses to underwhelming effect, but it was among the first. This fight gets some points for atmosphere but is docked heavily for gameplay. For a melee build, in particular, fighting the Butterfly is just boring, especially as you wait for it to finish firing off spells, land, and refuel. Pray your weapon doles high amounts of damage so you can finish the job quickly. If not, you're in for one slog of a fight. By the time you reach the Centipede Demon, it's the third boss you've faced in the Demon Ruins, and you've probably been noticing a trend of quantity over quality. 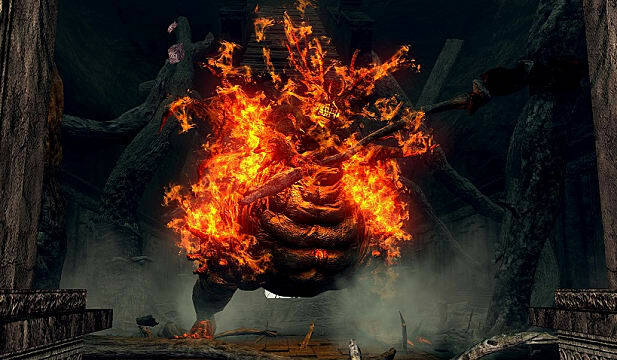 This boss has one of the more generic designs out of FromSoftware's repertoire, and it's further bogged down by a frustratingly small arena surrounded by lava. The (thankfully) final Demon Ruins boss of this list is the best of the lot, but not by a wide margin. Its sheer size makes it visually imposing, but the fight's actual mechanics are less interesting as you wait for it to slam its fists down so you can hit it. To make matters worse, you can kill it without any resistance whatsoever if you lure it back to the fight's entrance. Remember when I mentioned going back to the tutorial area? This is the foe waiting for you if you do, and his low ranking is another product of being a reskin. He's higher than the Firesage thanks to his varied moveset making him feel like a different boss than the Firesage. That, and his endless spam of blast attacks can get pretty annoying. 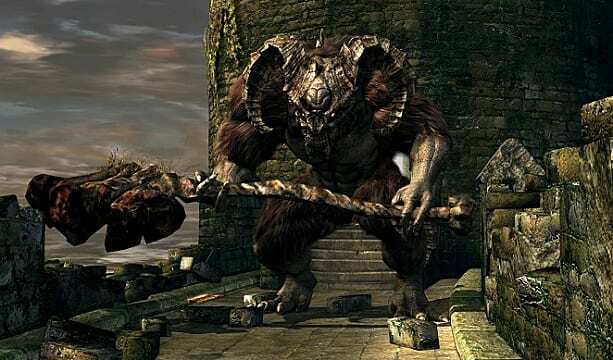 Many Dark Souls veterans hate this fight, and that's for two reasons. And both of those reasons are dogs. The fast-moving enemies make the already-tiny arena in which the Capra Demon resides feel even more claustrophobic, giving you little room to maneuver against the aggressive boss. 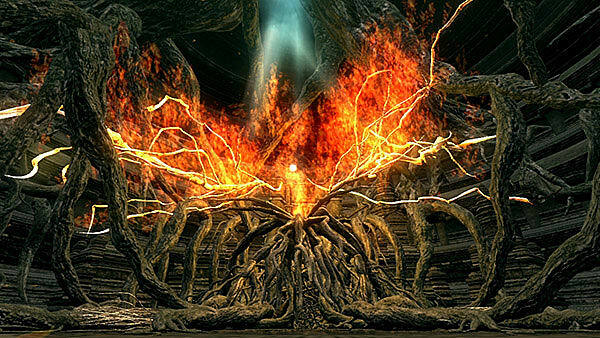 And at this point, with so many demons so low on the list, it's hard not to feel a little extra resentment toward the Witch of Izalith for thinking recreating the First Flame was a good idea. Look at all the good it did. At the end of the trap-riddled madness that is Sen's Fortress waits a fight against this massive foe, and it's... okay. The fight doesn't do anything particularly wrong, it just also doesn't do a lot to stand out among Dark Souls' other boss fights. And coming at the end of such a memorable area, it's hard not to want something a bit more unique than a giant suit of armor. The second boss of the game is a fairly generic monster. Its moveset isn't much to write home about, either. What saving graces it does have come in the form of a semi-interesting environment that allows for tactically-minded players to use their gained knowledge to their advantage -- for instance, noticing a ladder that can set them up for a nice high-damage plunging attack. To be fair, there's a lot of interesting lore surrounding this guy, specifically about his research into alternative forms of immortality because he lacked the immortality-granting stone scales that other ancient dragons possessed. However, the fight itself is somewhat underwhelming. 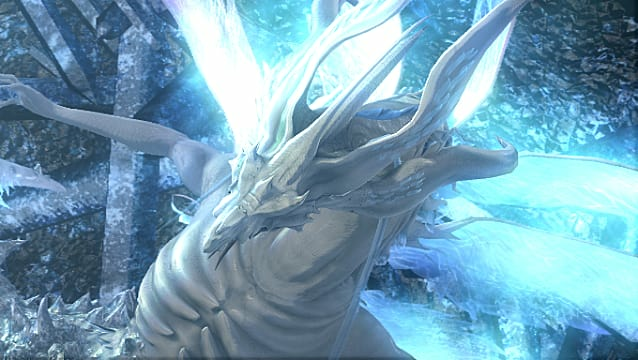 After you shatter the crystal that's healing Seath, it's a simple matter of hugging his weird tentacle-leg things until he dies. Just watch out for the attack where he flails those things around. Now don't get me wrong, Priscilla's a great character. However, her boss fight basically comes down to the invisibility mechanic. Turning invisible is pretty much her one and only trick, making this more of a gimmick fight than anything else. And to be fair, it's a cool gimmick because it rewards observant players for noticing her footprints in the snow. But if she had more health or attacks to back it up, things might be different. This is a boss with a cool design and some interesting moves to back it up. The challenge is learning to balance dealing with both the bottom half's lava-spewing crowd control attacks and the upper half's aggressive firesword swings. 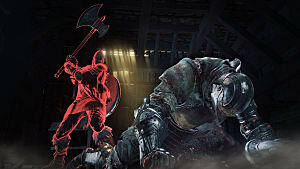 It is, however, very possible to stay close to her side and remain in relative safety, so for an experienced player, there are tougher Dark Souls challenges for sure. The Gaping Dragon has a great entrance. What looks like a tiny alligator pops up from the other end of the room -- and then the rest of the massive beast's grotesque body follows, imbuing the boss with an intimidation factor of 10. However, the actual boss isn't too tough because it has plenty of blind spots. As long as you watch out for its walking attack, you should be okay. Regardless, the opening cutscene gives the player a great sense of accomplishment after bringing it down. This is another gimmick boss, but it's a gimmick that I personally enjoy. 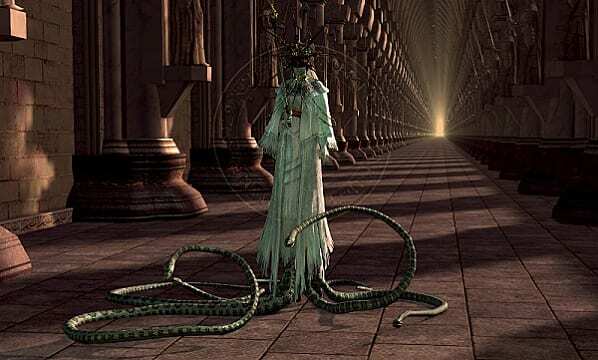 The endless hallway makes for a really cool setting, and running down it to pursue Gwyndolin makes the fight feel almost like a chase. He does only have three attacks, so things can get a bit repetitive. But the premise makes this bout a memorable one at the very least. Like the Moonlight Butterfly, this is a fight with a ton of atmosphere. Unlike the Butterfly, though, there's actually some fun gameplay to back this fight up. The swarms of skeletons that appear in the area can feel unfair on top of Nito's attacks, but the fight is well-balanced by Nito's large blast attack that is easy to bait him into doing -- temporarily destroying said minions. Or you can bring a divine weapon to try and make sure those skeletons stay dead. 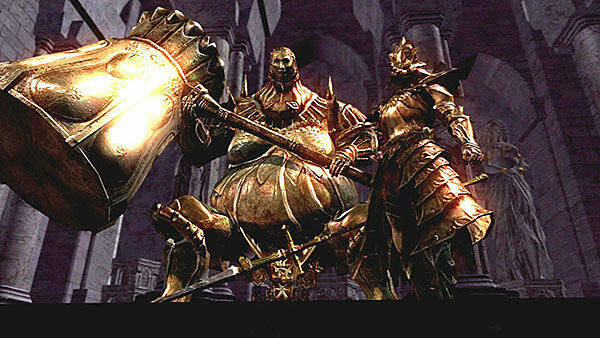 Either way, this is one of Dark Souls' better boss fights. The first fight of the Dark Souls DLC doesn't have much lore behind it, but it makes up for it in gameplay. This creature has a varied moveset consisting of lightning, flight, shockwaves, and more. A large part of the fun is how mobile the beast is, although pinning it down can get annoying. Still, this fight is a great opening to a terrific DLC. 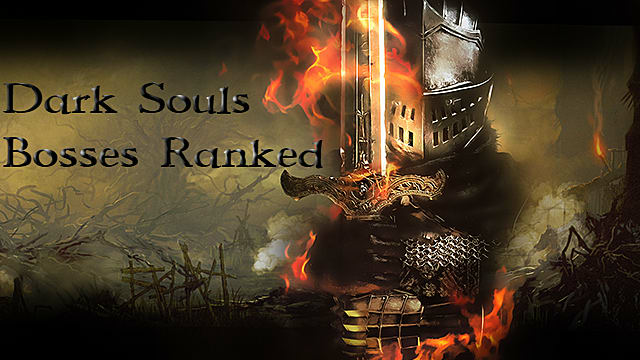 The best of the four Lord Soul bosses, the Four Kings are a race against time. You're fighting a series of the same enemy multiple times in a row, but the twist is that this time, it's not enough to learn their moves to just beat them -- you need to learn those moves well enough to beat the Kings quickly before the next one spawns in. One mistake can build on itself very easily, and before you know it, you could be getting destroyed by two or even more Kings. Be sure to bring your highest damage-dealing weapon for this one. 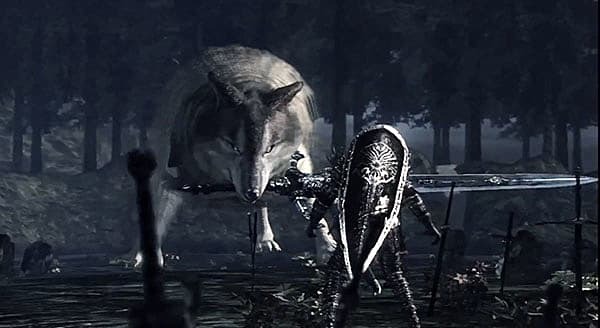 The main reason this fight stands out isn't the actual gameplay (though a wolf wielding an enormous sword in its mouth is perfectly ridiculous). Instead, it's the emotion and story behind it. No one wants to kill a dog. And Sif is only guarding the grave of its master, Artorias the Abysswalker, so it's not like it has it out for you. 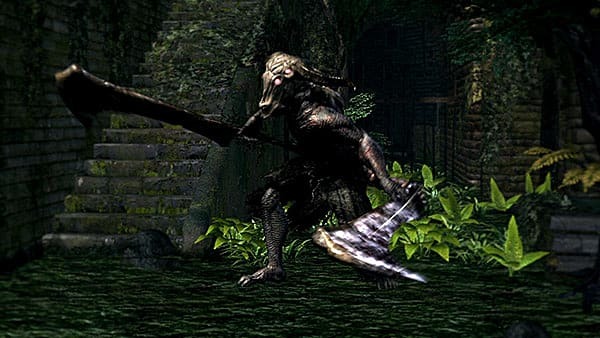 But this is Dark Souls, and depressing stories are pretty much par for the course, so of course, Sif starts limping at the end of the fight to make you feel even worse. 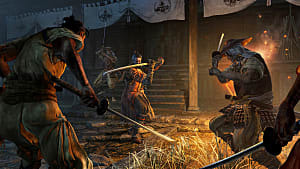 On top of that, if you find and rescue Sif in the DLC, it will recognize you in the opening cutscene of the fight... and then fight you anyway. Prepare to cry, indeed. I know what you're thinking -- but this boss is so simple! It barely has any attacks! And you're right... but that's kind of the point. 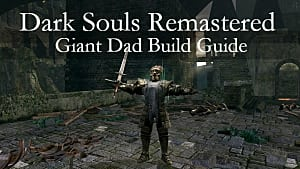 As the tutorial boss, its simplistic moveset is the perfect learning tool for new players to get a feel for boss fights in the Dark Souls series. It even teaches players how to execute a plunging attack for devastating damage! Above all, though, it teaches players confidence. Upon seeing the beast's massive frame, a new player's first instinct may be to run -- and it's even the right call here at first -- but the relatively easy fight later demonstrates that in Dark Souls, the bigger they are, the harder they fall. We're going directly from the beginning of the first journey to its end. 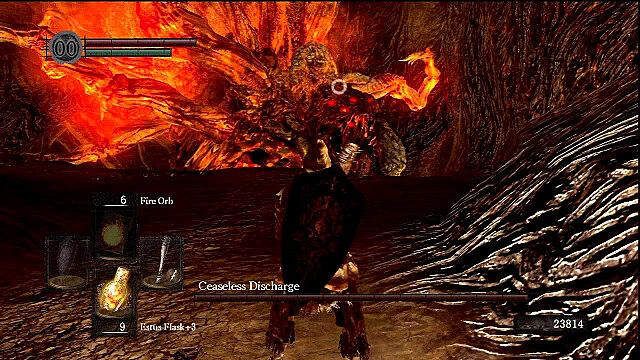 Gwyn is the final boss of the game, and almost every aspect of this fight delivers. His moveset is unrelenting, and his flaming sword acts as the perfect counter to players who like to hide behind shields with high physical defense. Sword swings aren't his only tricks either. Moves like his kick and grab attacks have gone down in infamy for dealing large amounts of damage. All this is perfectly accompanied by the score, which subverts expectations by not being a rousing orchestral piece like so many other boss themes, but rather a simple, somber piano melody. The only thing keeping this fight from being higher on the list is Gwyn's notorious weakness to parrying -- if you're even half-decent at it, the former Lord of Sunlight goes down way too easily. 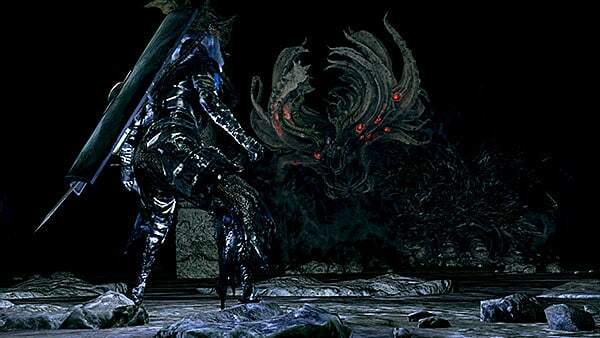 This fight and the Asylum Demon are two parts of a series of three bosses that I consider major benchmarks for new-player evolution. 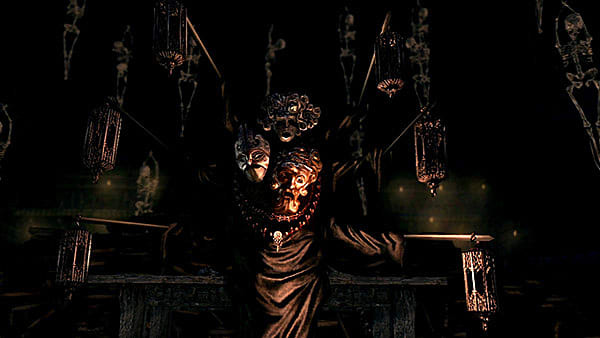 The Taurus Demon, as I've discussed, doesn't really bring much new to the table, but this boss is another story. Midway through your fight with one gargoyle, another one joins the fray. This is extremely alarming to new players, as, at this point, they've probably barely gotten good enough to fight one boss, let alone two. But the fact that the second one waits until the first is at half health means that players can be strategic -- and try to finish that one first. It's essentially a dual boss on training wheels, and one of the series' best. 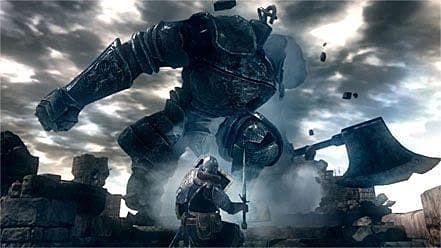 That we've come this far and have, until now, only seen one boss fight from the DLC should speak volumes about the quality of its bosses. 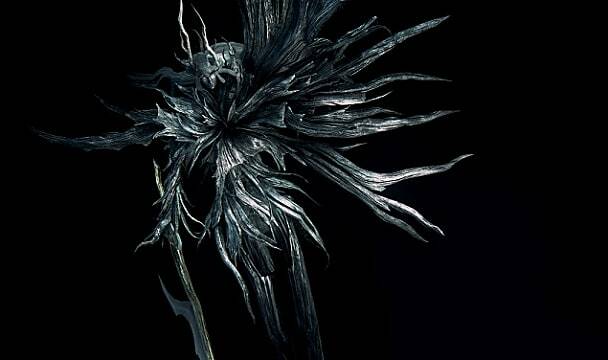 Many consider Manus to be one of the hardest fights in the entire series, and it's not difficult to see why. He fights less like the human he once was and more like a force of nature, with swing after swing chipping away at your health. Speaking of health, Manus also has a ridiculous amount of it, meaning you'll have to withstand his onslaught for a while if you hope to be victorious. Add to that the slew of dark magic attacks he gains midway through the fight, and you should definitely congratulate yourself for coming out on top in this one. 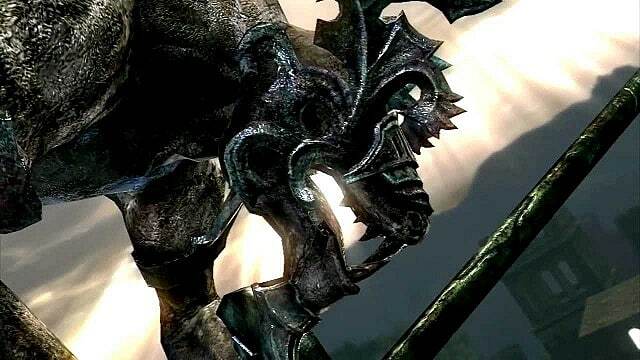 There aren't a lot of proper dragon fights in Dark Souls. 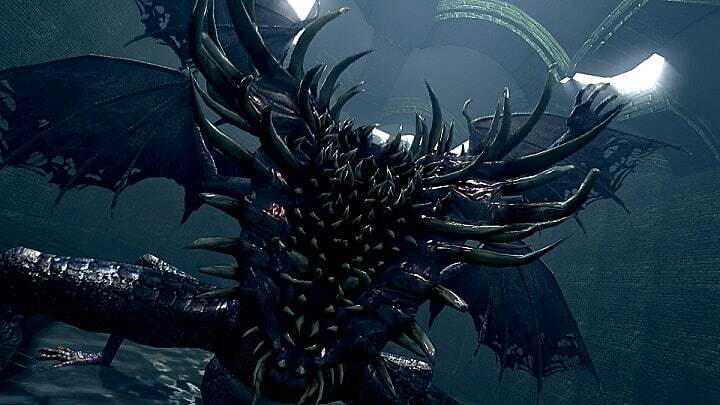 The Hellkite Dragon on the bridge in Undead Burg is actually a drake (a lesser dragon), the Gaping Dragon has been twisted into an abomination, and even Seath lacks the scales that made the ancient dragons such formidable foes. 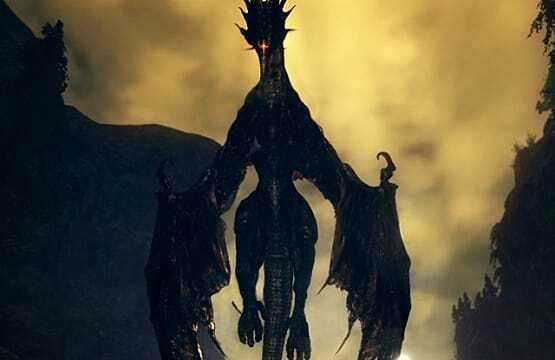 Kalameet, on the other hand, is a true dragon, and FromSoftware pulled out all of the stops to make this fight as epic as possible. His ferocity is only matched by his surprising agility, as he darts around the arena spewing black fire at you. Keeping up is an extremely difficult -- but highly rewarding -- challenge. 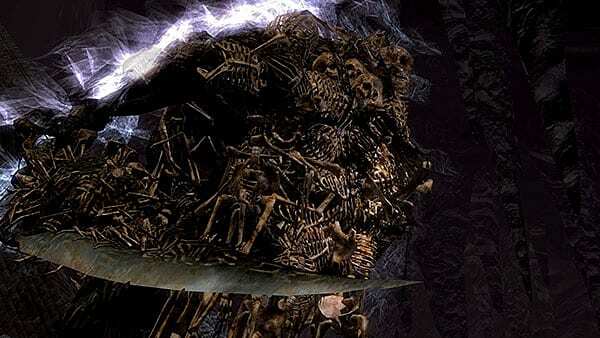 There are few bosses in Dark Souls as iconic as this one. When you find the legendary Abysswalker, he's been corrupted by the very thing he swore to destroy, and it's up to you to give him the heroic death he deserves. 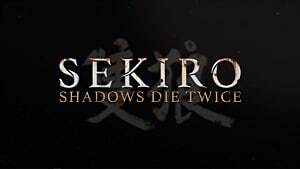 FromSoftware has pulled the "duel between two evenly matched warriors" card a few times, but rarely does it shine as much as it does here. Artorias' moveset is breathtaking, with the knight flipping around the arena to try and land on you. The fight gets even harder when he buffs himself for more damage, but it is possible to interrupt him from doing so, adding balance to the mechanic. This fight undoubtedly earns its amazing reputation. I'm sure many saw this coming, but I couldn't justify putting any other boss in the top spot. I mentioned earlier that I consider the Asylum Demon and the Bell Gargoyles to be two pieces of a three-part evolution for a new player, and this is the third and final part of that evolution. This fight acts as a player's final test on two levels. 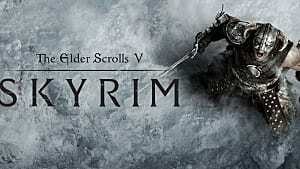 From a narrative standpoint, it's the last thing a player must overcome to claim the Lordvessel and learn his or her true purpose. And from a game-progression standpoint, once a player beats these two, they should feel ready for anything. While the gargoyles felt overwhelming, to most new players, this fight at first feels hopeless. The slow-but-devastating Smough is a perfect complement to the quick and relentless Ornstein, and it feels impossible to get in any hits of your own. And even if you somehow manage to take one out, there's a whole second phase with a powered-up version of the duo. I was so broken by this fight that I didn't touch the game for months afterward. But once I did decide to pick it back up, I didn't stop until I beat them. And defeating this boss fight solo remains one of my favorite moments in any game ever. 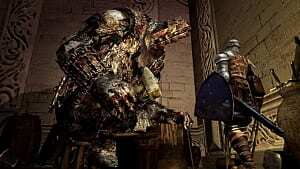 The Dark Souls series has so many memorable bosses. For many, they're the highlight of these fantastic games. And there are few other games that can top or even come close to the adrenaline rush of overcoming the greatest of these fights. 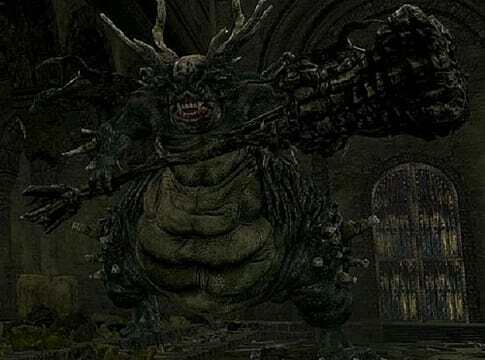 What are your favorite bosses in Dark Souls? What did I get horribly wrong? Let me know in the comments!